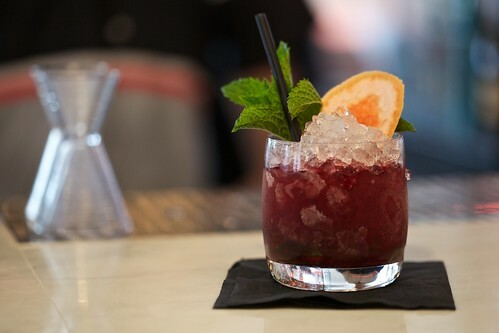 If a person’s character is to be judged by the cocktails they drink, ordering something sweet and low alcohol was a dead giveaway in the early days of craft cocktails. Telling a craft bartender that their cocktails were smooth and sugary could send them into existential crisis. 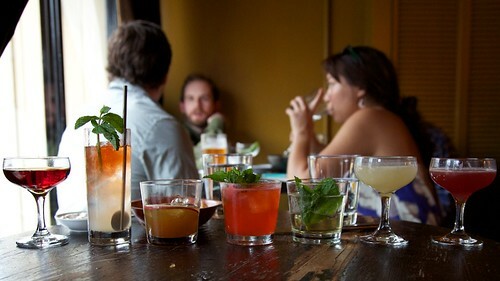 A patron, on the other hand, could be judged as misled or disinterested in cocktails. 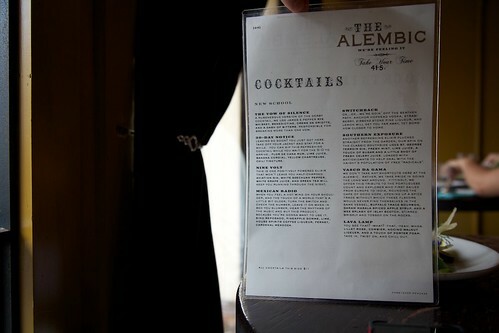 As a result, it was hard to find low-alcohol cocktails. But it seems we’ve evolved since then. 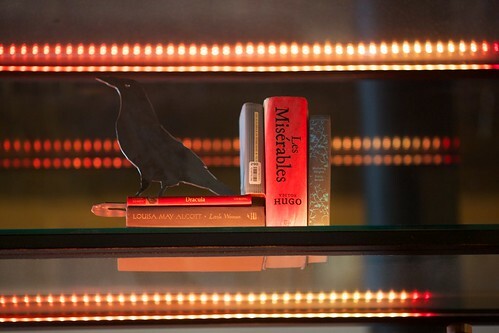 We get it, we’re serious about cocktails. 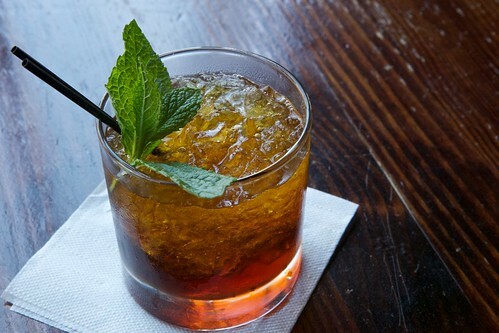 But that doesn’t mean that you have to drink a stiff classic to enjoy yourself. 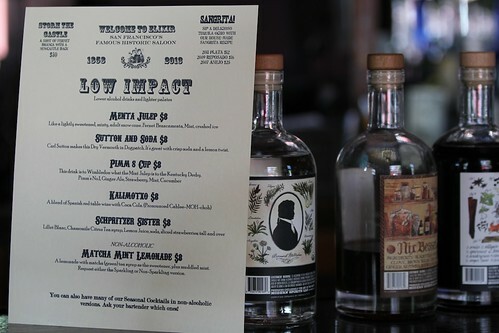 In light of that, more and more bars have recently released menus with virgin, low-impact (low alcohol), and long drinks—AQ, Prizefighter, Rickhouse, and Novela, to name a few. And I love it. Just because you go out doesn’t mean you want to drink very much alcohol. Those who are driving don’t have to be left out of the party either. 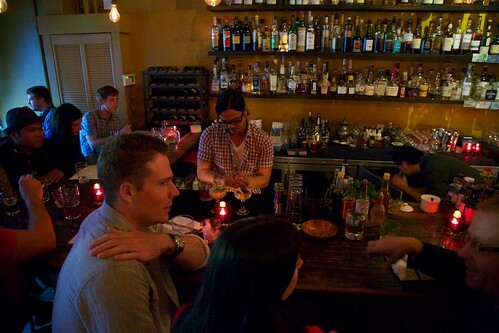 We recently went down to Elixir, a famous neighborhood saloon in the Mission. 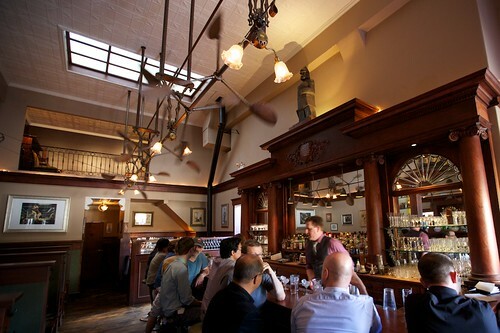 The bar is respected as one of the early pioneers in craft cocktails in San Francisco, and today it’s still a great place to catch some solid drinks in a relaxed, unpretentious environment. Check out their low-impact menu. 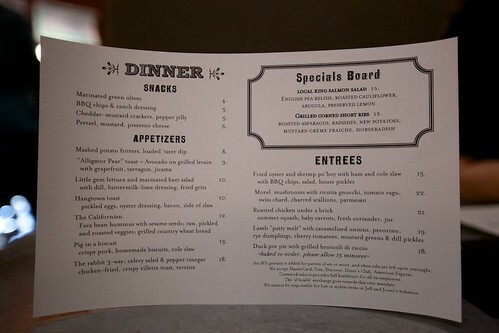 Here's the menu and a visual sample of each. 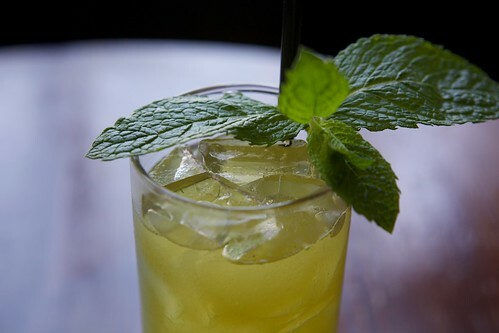 Matcha Mint Lemonade. 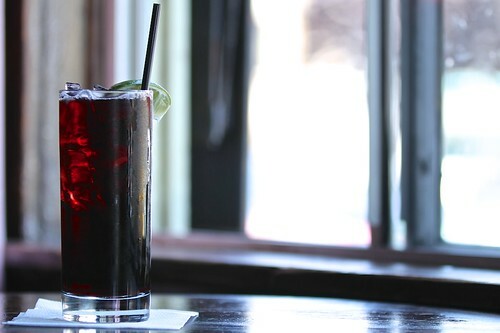 This drink comes still or carbonated (using a Perlini carbonation system instead of just soda water. They don't use water/soda guns at Elixir because, frankly, they're gross). This was so good I could have ordered about fifty, and it's completely alcohol free. 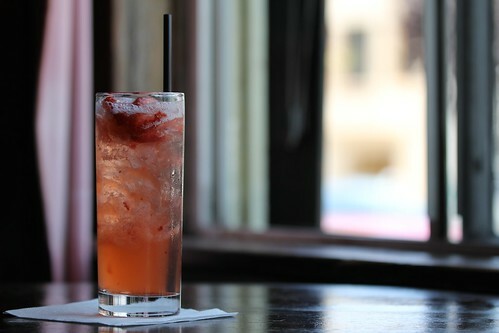 Schpritzer Sister: Lillet Blanc, chamomile citrus tea syrup, lemon juice, soda, strawberries. 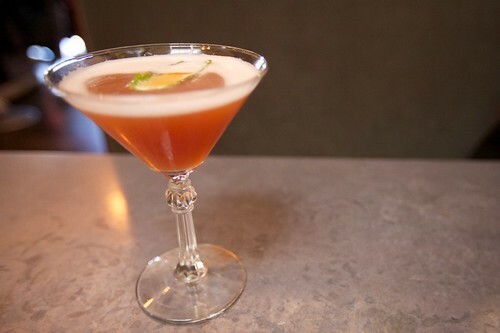 The chamomile brings out the spice in the Lillet, and the lemon makes this drink dryer than you'd expect. 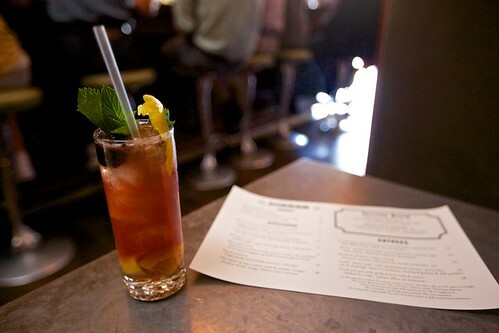 Pimm's Cup: Pimm's No. 1, ginger ale, strawberry, mint, cucumber. 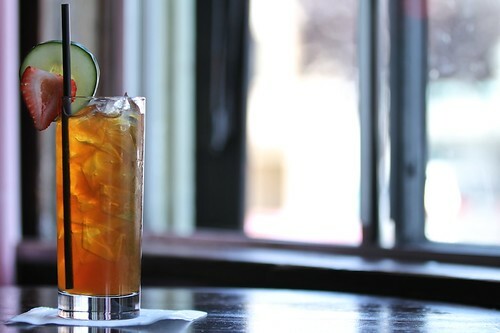 The ginger ale gives this Pimm's a sweeter and richer consistency than most Pimm's Cups. 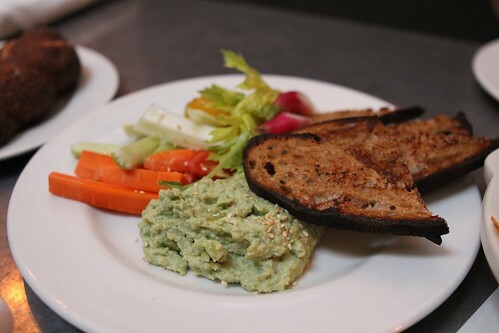 It's nice if you're in the mood for something a little bolder. 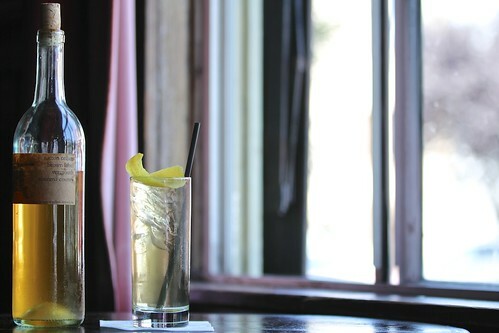 Sutton and Soda: specially made dry vermouth by Carl Sutton, soda, lemon twist. Very dry, very simple, very tasty. 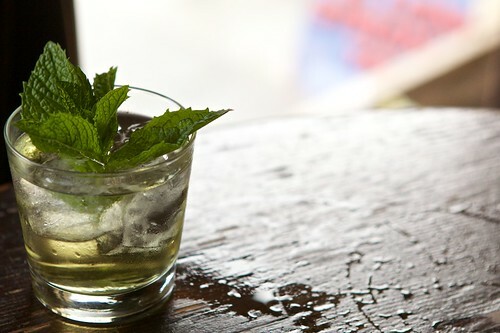 Menta Julep: Fernet, mint. 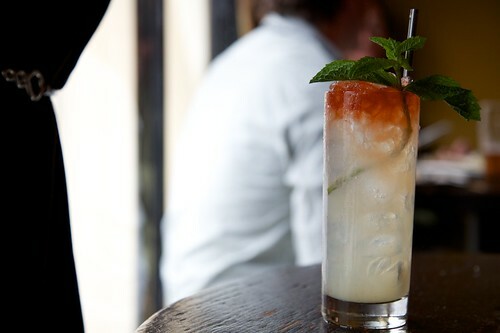 If you like fernet, go get this drink right now. 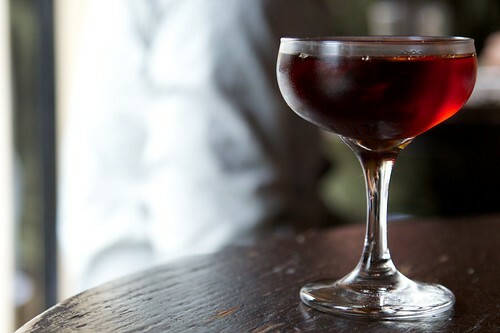 If you don't like fernet, at least give it a try. 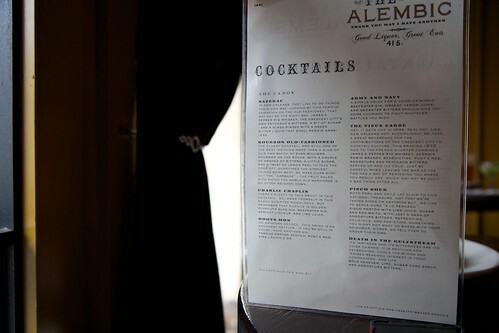 I'm not a huge fernet fan, and I actually liked this drink. 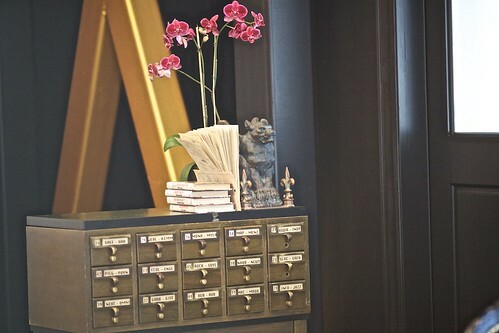 For all the pictures check out our Flickr set. 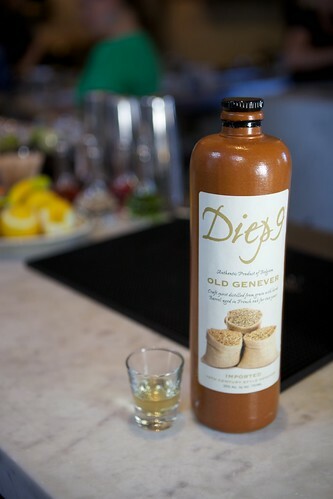 Old Genever is made with pre-Industrial methods, and therefore it has more more malt wine, which was regularly made before the Industrial Revolution. 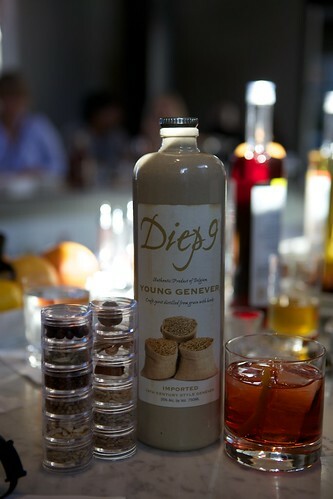 Compare the young Genever (below) with the old (at the top of the page). 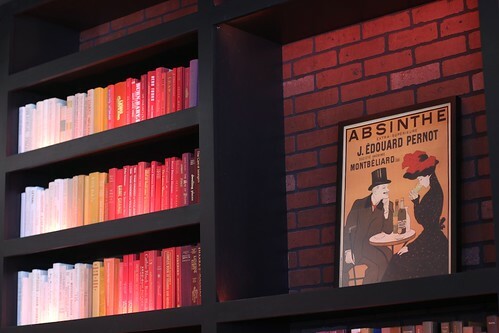 More neutral spirits make for a lighter color. 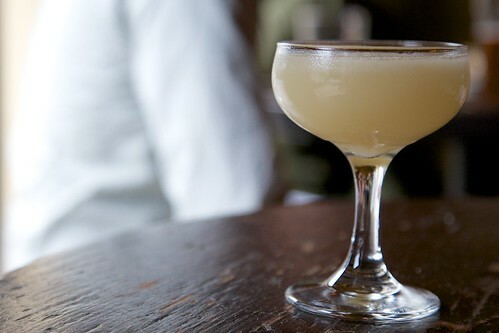 Because of the age, the Old Genever delivers softer and rounder barley flavors and makes for easy sipping. Apparently, both old and young genevers are commonly found in bars in Belgium, along with some other more fruity varieties. 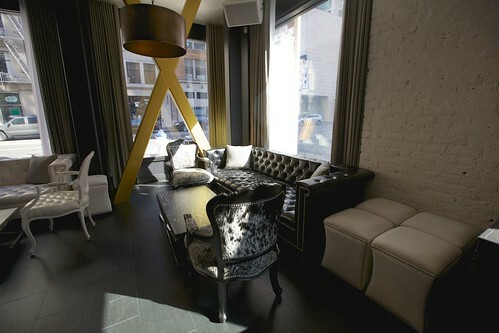 People will swing by bars and enjoy a glass during the afternoon. Noelle and I were both impressed with this spirit, both on its own and in cocktails. If your only experience with Genver is through Bols, then you definitely want to try this out. 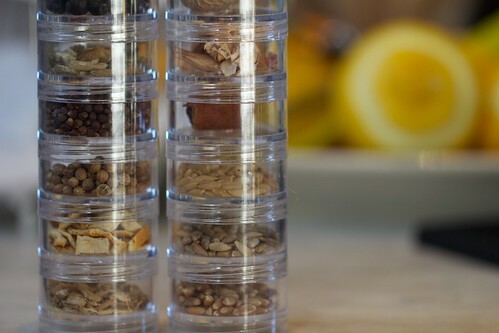 As the ancestor of gin, there are some clear similarities—but don't be fooled into thinking it tastes the same. 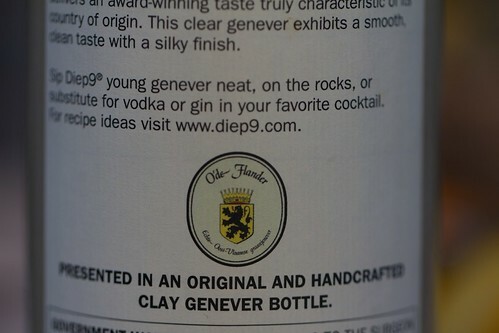 Comparatively, Diep9 Genever has much less of a malty flavor, which allows you to taste the juniper, citrus, and other flavors. 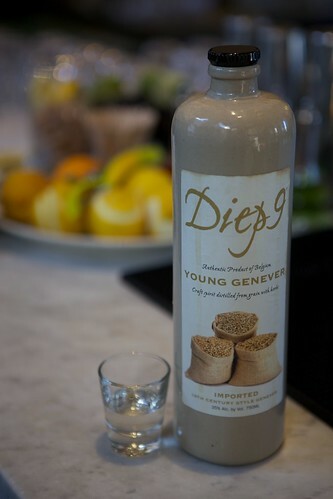 Diep9 is particularly citrusy, which pairs well with the malt wine. I found both young and old enjoyable on their own. 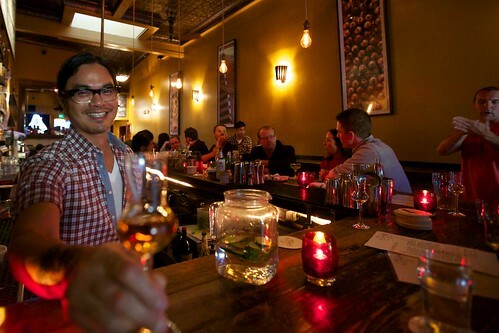 The malt wine makes Genever slightly sweeter and more viscous than gin, so the recipe needs to be adjusted. 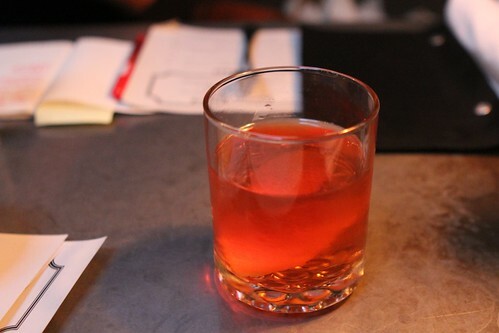 Instead of equal parts, try dropping the sweet vermouth and Campari by 1/4 oz. 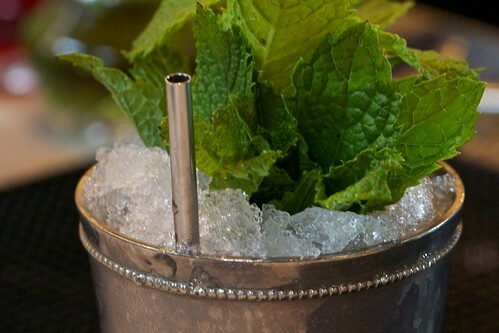 We also subbed young Diep9 in a Mint Julep and were actually stunned with how well the drink turned out. I think this spirit is going to take off when it hits shelves (bars for now, hopefully commercial spots too) in September. The first time I had a Ramos was in 2007. Since no bar around knew what this cocktail was, some friends and I tried to put it together ourselves. Something went wrong, horribly wrong. Even though the three of us shared one Ramos, we each felt like we'd swallowed a hockey puck. 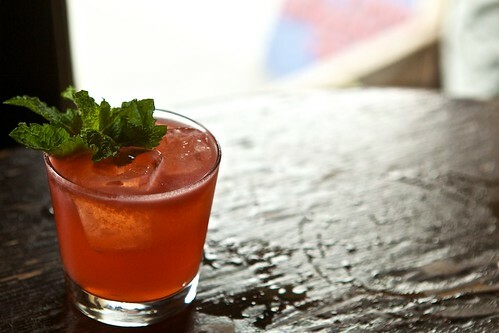 We've since practiced the Ramos, and while our rendition far from perfect, we enjoy this drink tremendously. 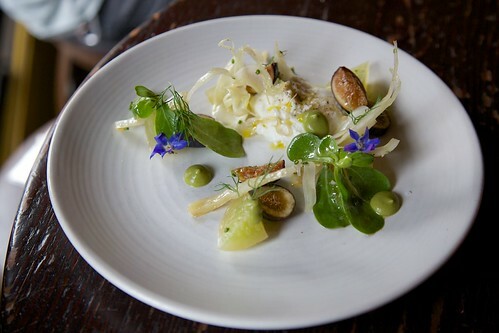 It's rich, creamy, floral, and satisfying as all get-out. What's your recipe? 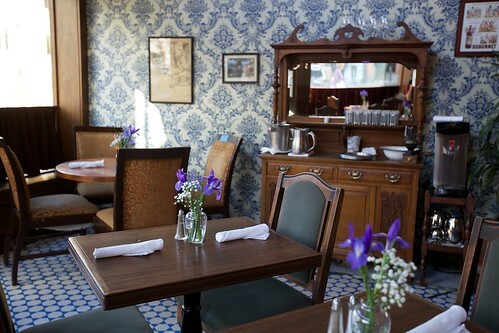 Although it only opened in 2010, Comstock Saloon has over a hundred year history in San Francisco. 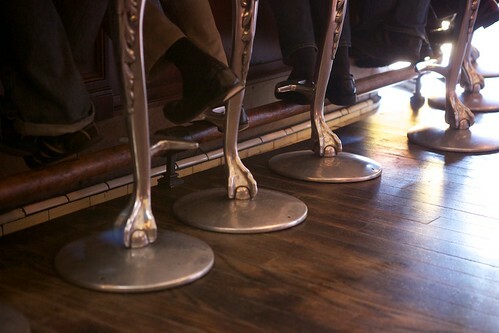 It originally opened as the Andromeda Saloon in 1907 and is the last bar remaining from the Barbary Coast––the spot the '49ers wet their whistles. 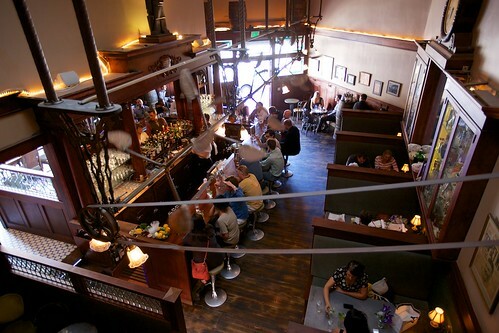 Comstock, named after the guy who set off the Gold Rush, was spearheaded by San Francisco bar legends Jeff Hollinger and Jonny Raglin of Absinthe Brasserie & Bar manages. 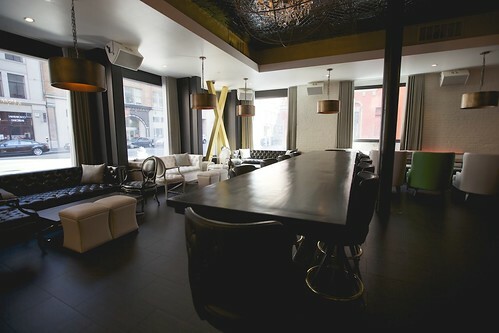 The bar manages to keep much of its historic feel through a hefty list of classic cocktails and original decor. Overall, we enjoy Comstock. The mood is very relaxed, and there's usually a good crowd. 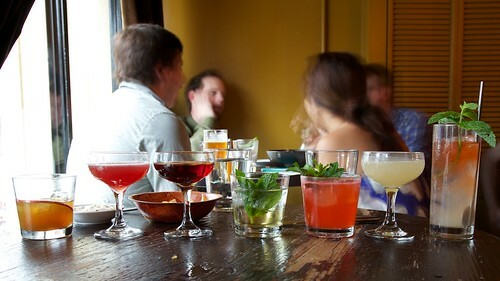 The bar has a very neighborhood feel, and I think they try to cultivate that by harkening back to the old tradition of offering free lunches on Fridays (if you buy two drinks. Easy, no?). 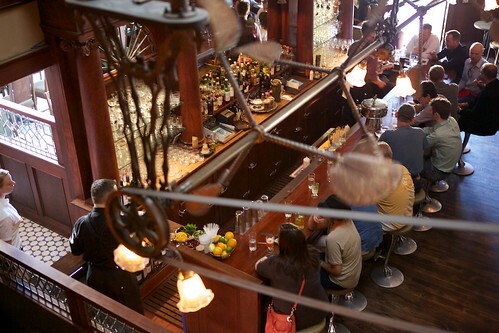 The live music makes this place a little livelier after 8pm, especially on weekends. Don't let the antique piano these guys play fool you, the bands rock. 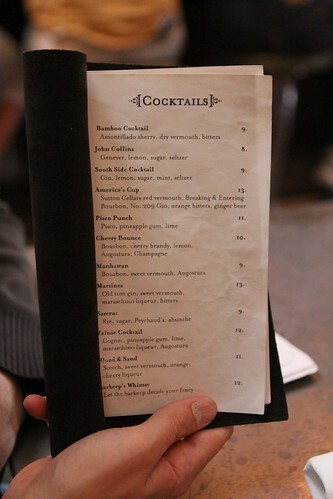 Here's the full cocktail menu. 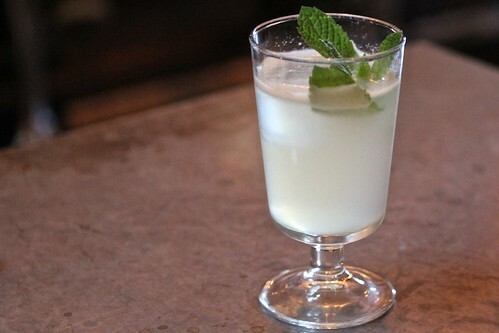 John Collins: Genever, lemon, sugar, seltzer. Always a classic, and I'm glad they have it on the menu. 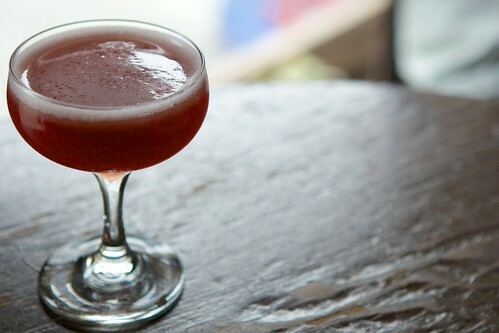 Tart, cooling, and appetite-stimulating. 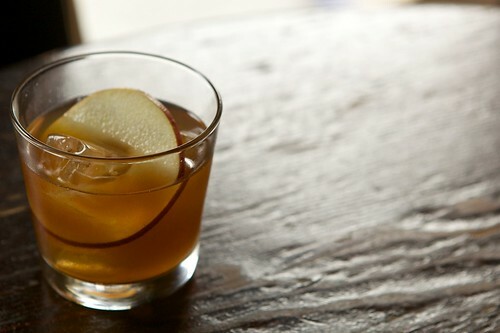 Bamboo Cocktail: Sherry, dry vermouth, bitters. I love sherry cocktails. This one was rich and slow going, a nice way to ease into the evening. 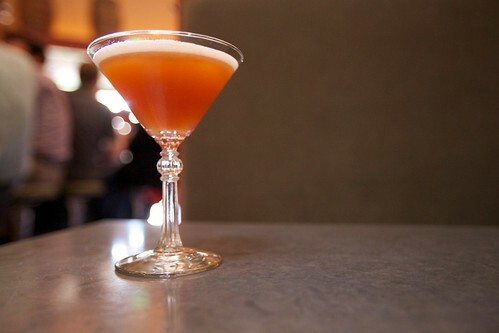 Zeinie Cocktail: Cognac, pineapple gum, lime, maraschino liqueur, Angostura bitters. 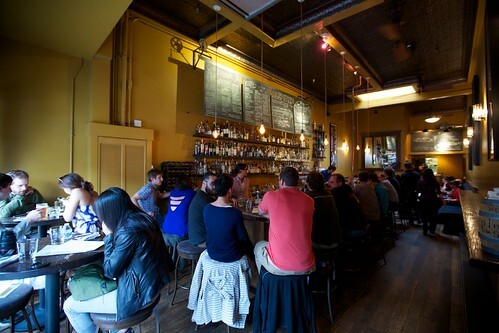 Since visiting Chicago, Noelle and I have been increasingly frustrated with the lack of food at SF bars. 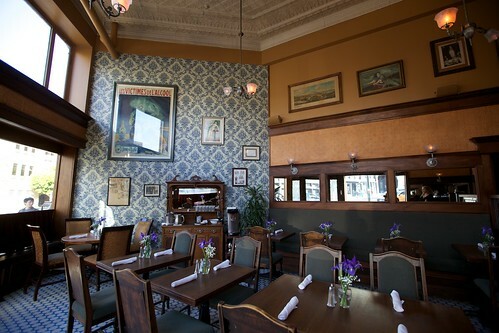 One joy of drinking at Comstock is the food. 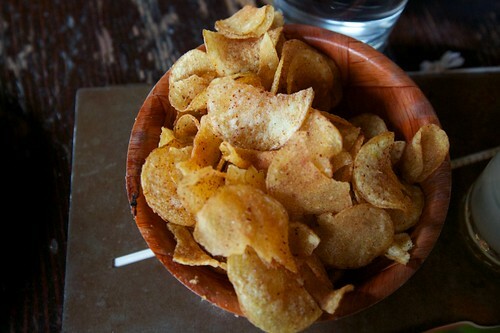 They've got both snacks and full entrees. Here's the full menu. This picture makes it look really imposing. It's not, actually. While we didn't try the whole menu, I kind of feel like we did. 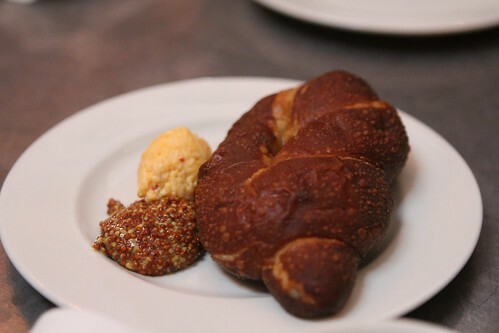 We started with the pretzel, because those are my favorite. 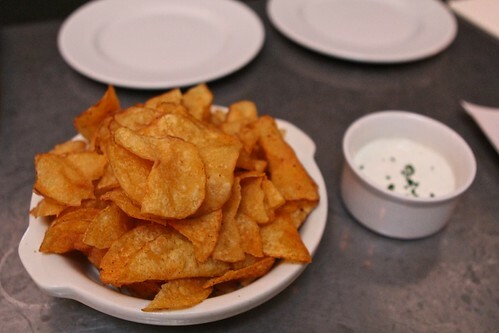 The homemade BBQ chips and homemade ranch dressing are really good, too, though. Noelle opted for a full entree instead of a bunch of snacks. 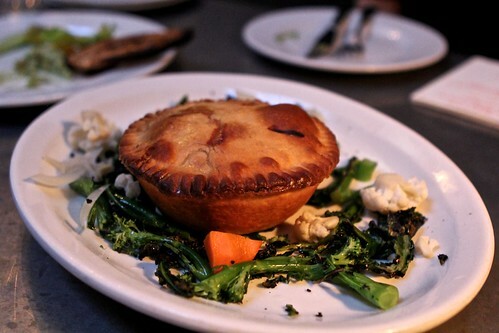 She ordered a duck pot pie, which she loved. And then one for me. 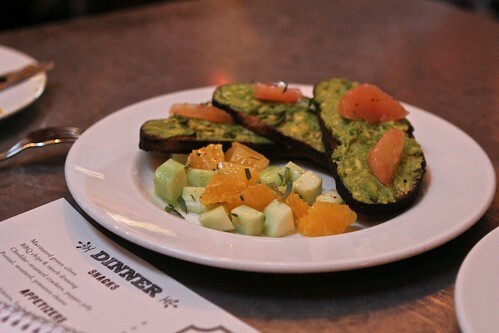 Alligator toast–– avocado, grapefruit, jicama, nom nom nom. I liked this one in particular because it was filling but still, somehow, light and refreshing. 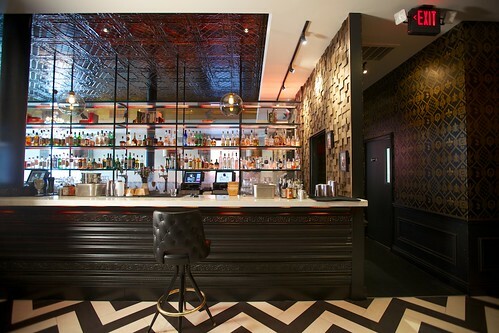 I'm going to indulge my inner history nerd and post some pictures of the historical design aspects of this bar that I think are neat. 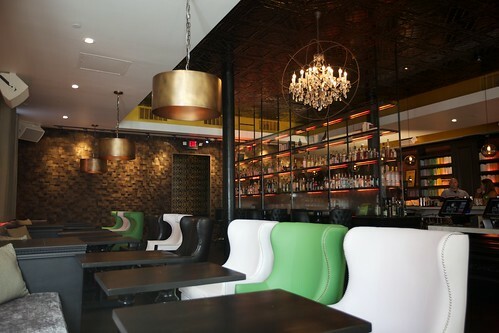 The mahogany bar itself is original, from 1907. 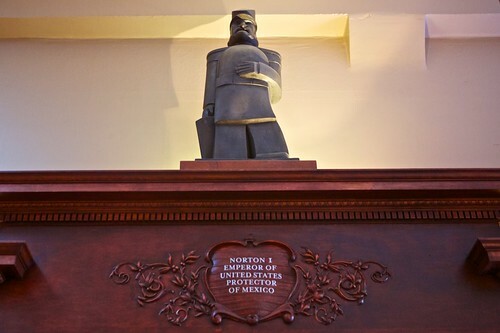 Atop the bar, you can see a bust of Emperor Norton, cast by a local artist in 1936. This Pukka Walla fan was made in 1916 and runs the length of the bar, some 35 feet. You can see the whole thing at the top of this post, so here's the belt and wheel that power the spinning blades. Saturday to Thursday: 4:00 p.m. to 2:00 a.m.
Friday: 12:00 p.m. to 2:00 a.m.